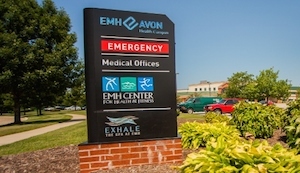 Why Is Sustainable Landscaping Important For Ohio Medical Facilities? Northeast Ohio hospitals and nursing home facilities face specific challenges related to commercial landscape maintenance. Property managers on these sites shoulder the significant responsibility of ensuring patient and visitor safety, from the time people step on to the property until they leave. A mission of patient care must be executed through comprehensive landscape maintenance. As a hospital or nursing home facility, you also strive to be a good community steward. That may mean reducing the use of chemicals on your property and adhering to sustainable practices, including using more organic products to reduce carbon emissions. You may also want to improve the environment with more green spaces. At Schill, we can fully appreciate this dual mission of safety and sustainability because those values are the core of our operation. As Northeast Ohio’s leader in sustainable grounds management, we are a pioneer of sustainable landscaping practices—just as our hospital and nursing home clients in the region are world-class providers of health care. We share the same goals to create healthy, green spaces that are clean, safe and cost-neutral. Now, let’s talk more about how we execute this mission to help make hospital and nursing home properties safer and more sustainable. We understand how important visibility and safety is on your property, and we always have your residents, patients and visitors in mind. We understand that many of them may have mobility issues, diminished eyesight, accessibility challenges, allergies and other health concerns. Your property should be a comfortable, safe environment for everyone. That’s why we act as your eyes and ears on the property with the goal of maintaining it to keep the grounds safe, secure and beautiful. After all, we know that green spaces can improve our health and well-being. The landscape is a critical part of your property. To accomplish this, we begin with a thorough audit of potential hazards on your property and other issues that should be addressed to improve the experience for patients, visitors and residents. Then, we produce a report that outlines solutions for your commercial landscape. Some problems we often see are related to irrigation, pavement (uneven surfaces that can cause trip-and-fall injuries), visibility concerns (from overgrown plants and trees), overhead risks and any other issue that could hinder people’s ability to stay safe and enjoy the property. 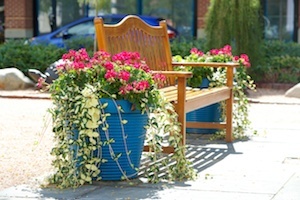 A safety-first approach to landscape maintenance revolves around people: patients, visitors and professionals who walk the hospital and nursing home facility grounds. We take into account every aspect of the property and how foot and vehicle traffic moves on the property throughout the year. Then we create a safety plan and outline landscape maintenance services to achieve those goals. The landscape safety plan includes addressing parking lots, driveways, walkways, outdoor common areas with patio spaces, and even helipads. During Northeast Ohio winters, these spaces must be cleared of snow and ice to avoid injury and accidents — and to mitigate liability for healthcare facilities. Schill accomplishes this with cutting-edge, customized snow and ice removal programs that use innovative deicing practices and products. Our hospital and nursing home facility clients appreciate that we significantly reduce the chemical toxicity of ice-melting products while still delivering safe, fast snow removal. Plus, our fully equipped fleet of snow removal vehicles is on call 24/7 to ensure safe access to healthcare facilities. Hospital and nursing home facilities work to create a healthy, clean environment that is as serene as possible for patients, families and guests. That’s a tall order, and the way the landscape is cared for plays a key role in establishing a desirable setting. At Schill, we share your core values, and we work to advance the triple bottom line of social, environmental and economic well-being on your property. Our culture, and the services we provide, align with your sustainability initiatives: less waste, safer chemicals, leaner energy, smarter purchasing, and improving the overall health of the environment. Beyond landscape maintenance techniques and organic products, we take the time to get to know our hospital and nursing home clients to fully understand their commercial landscape maintenance needs. We do a lot of listening. Our team becomes a part of their team. We work toward a shared mission of safety and sustainability, and are eager to find solutions for a variety of issues, whether it’s reducing noise with a different approach to hedge trimming or improving green spaces with landscape enhancements. We share your respect for the environment and a desire to create and maintain healthy, green spaces. And, we have the tools and expertise to help your healthcare facility carry out a dual mission: a more sustainable, safe property. 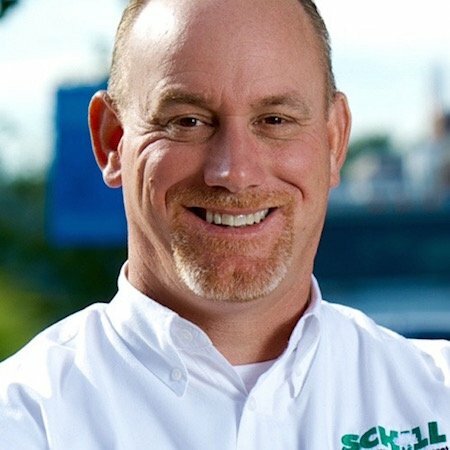 Let’s talk more about how Schill’s commitment to sustainability and the community can be executed on your hospital or nursing home facility grounds. Call us any time at (440) 327-3030, or fill out our simple contact form to request a proposal, and we’ll get in touch with you!